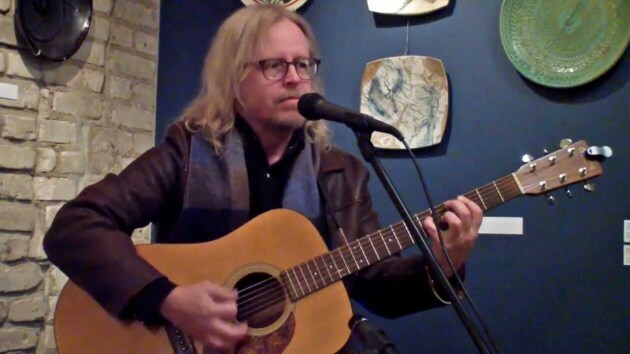 No other current Twin Cities resident has written a song heard around the world as widely as Phil Solem has, but that title will soon change along with his local residency status. The Duluth native and Rembrandts co-founder – who co-wrote and recorded the 1994 megahit “I’ll Be There for You,” aka the theme song to the kinda-popular TV sitcom “Friends” – is moving to the city where many professional songwriters eventually land, Nashville. Solem also happens to have family and friends in Tennessee’s capital city, so the move makes extra sense. Some of Solem’s Minnesota family and friends will be there for him tonight (Tuesday) at the Cabooze in Minneapolis to give him a musical send-off. His buddies the Melismatics are anchoring a farewell party dubbed Phil-a-Palooza, which will also feature a performance by Solem’s own jam band Thrush! with Michael Bland (Soul Asylum, NPG) and John Fields (producer and Greazy Meal member), plus Joey Molland of Badfinger and various other Prince alumni and all-star players in town. The show starts at 8:30, and tickets will be $10 at the door. Solem and his longtime collaborator Danny Wilde still perform off and on as the Rembrandts, who hit Billboard’s top 20 four years before the “Friends” theme with “Just the Way It Is, Baby.” They will forever be tied first and foremost to “I’ll Be There for You,” though, and with TV reunions popular again and the constant talk of a “Friends” reboot, that connection could be retied in the coming years. Solem's talent beyond the somewhat fluky was well known here in Minnesota, as evidenced by the top clip below. Nashville, take note.